All the authorities concerned have been ordered to maintain strict vigil on Diwali night to stop bursting of crackers outside the allowed limit of 8 pm to 10 pm only. 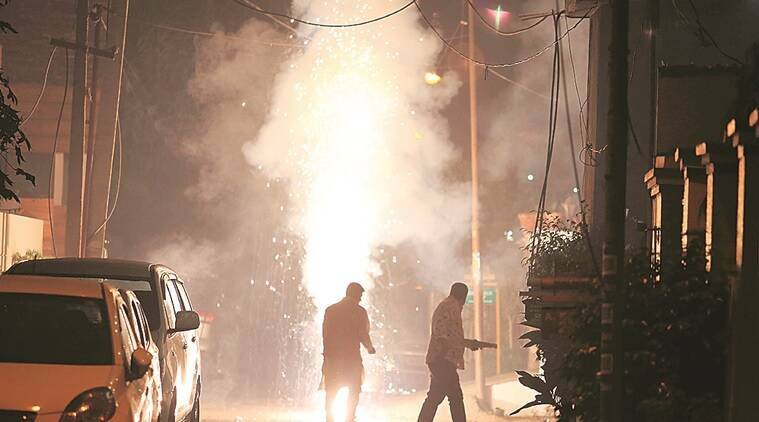 The Punjab government on Tuesday issued detailed directions to all Deputy Commissioners, Police Commissioners, Senior Superintendents of Police (SSPs) and regional officers of Punjab Pollution Control Board to ensure strict compliance with the Supreme Court’s order regarding not allowing bursting of crackers beyond the stipulated timeframe of two hours on Diwali. In a statement issued here on Tuesday, Director Environment and Climate Change K S Pannu stated that in view of growing air and noise pollution which rises to serious proportions, especially during winter season, with the unbridled bursting of firecrackers on Diwali/Gurpurab night, there was an urgent need to initiate strong measures to curb this menace. All the authorities concerned have been ordered to maintain strict vigil on Diwali night to stop bursting of crackers outside the allowed limit of 8 pm to 10 pm only. In case of any violation, the SHO of the police station concerned would be held personally liable, and strict action would be initiated, he added. The crackers not only release obnoxious molecules in the air but also release particulate matter (PM), both PM 2.5 and PM 10, increasing the level of air pollution in the state, he said in the statement. These gases and PM 2.5 has the potential to directly enter into our lungs, Pannu said.